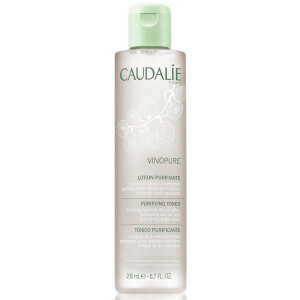 Clarify your complexion with Caudalie Vinopure Skin Perfecting Serum, a silky gel that helps to refine oily and combination skin types. Effortlessly melting into skin, the serum uses Salicylic Acid to draw out impurities from deep within pores, sweep away excess oil and reduce the appearance of blackheads and blemishes whilst helping to prevent future breakouts. 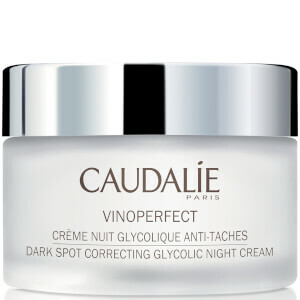 Suitable for sensitive skin, the formula boasts antiseptic benefits to soothe any irritation, whilst antioxidant-rich Grape Seed Polyphenols create a protective barrier against damaging environmental aggressors. Rosewater replenishes intense hydration to the skin to create a natural, healthy-looking glow. Can also be used as a targeted spot treatment. Expect tighter pores, smoother skin and a clear, radiant complexion. 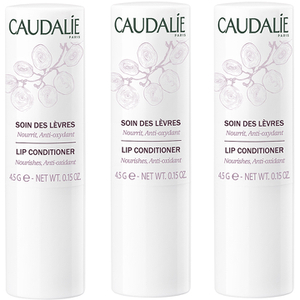 Suitable for combination to oily, sensitive skin. Aqua/Water/Eau, Rosa Damascena Flower Water, Alcohol, Niacinamide, Butylene Glycol, Salicylic Acid, Sodium Hyaluronate, Cymbopogon Citratus Leaf Oil, Lavandula Hybrida Oil, Melissa Officinalis Leaf Oil, Mentha Piperita (Peppermint) Oil, Pelargonium Graveolens Flower Oil, Rosmarinus Officinalis (Rosemary) Leaf Oil, Palmitoyl Grape Seed Extract, Sodium Hydroxide, Sodium Phytate, Tocopherol, Xanthan Gum, Citral, Citronellol, Geraniol, Limonene, Linalool. (184/123).